I have embarked on the wonderful world of owning and caring for Koi fish. A beautiful, graceful and forceful fish with the most incredible style. The Koi in many Asian cultures represents balance as two fish swim circling one another. You can clearly see how these amazing fish have come to garner such importance when you own one. 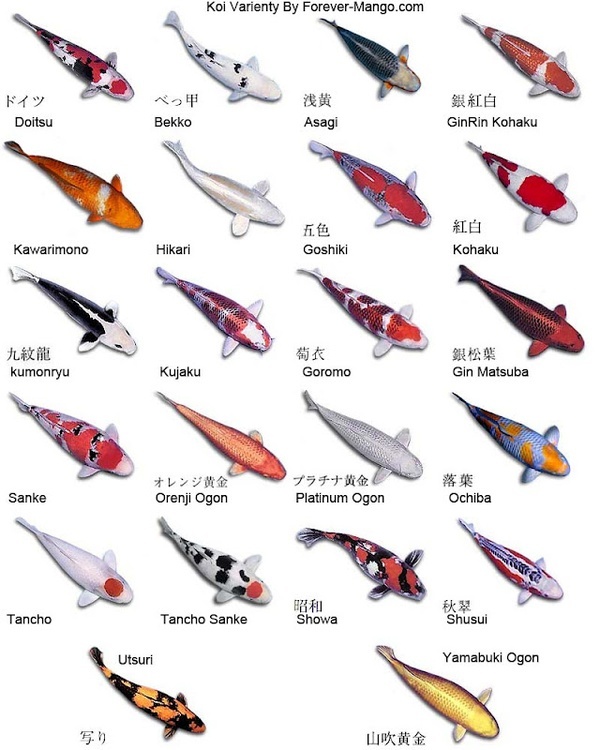 Here is a chart showing each unique type of Koi. Maybe you will consider one of these amazing fish for your own life. Thanks to forever-mango.com for the great chart! 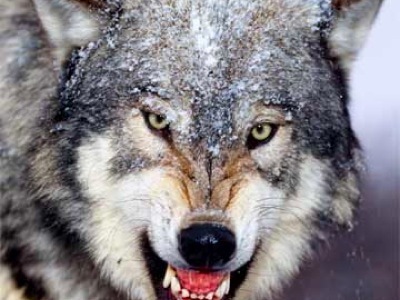 A ’super pack’ of wolves has been terrifying a town after leaving more than 30 horses dead in just four days. TURNER, Maine —Residents are wondering if an animal found dead over the weekend may be the mysterious creature that has mauled dogs, frightened residents and been the subject of local legend for half a generation. Loren Coleman, a Portland author and cryptozoologist, said it’s unlikely that the animal was anybody’s pet. After reviewing photos of the carcass, Coleman said he was bothered by the animal’s ears and snout. It reminded him of a case years ago in northern Maine in which an animal shot by a hunter could not be identified. In the end, wildlife officials got a DNA analysis that showed the animal was a rare wolf-dog hybrid, he said. Mike O’Donnell, who is married to Michelle O’Donnell, said the animal looked “half-rodent, half-dog” to him. “This is something I’ve never seen before. It’s an evil-looking thing,” he said. Mike Lemos of Ventura, California, a graphic designer and artist came up with the famous picture which circulates the internet currently. Sadly the animal was not studied by any authorities in Maine (strange). A DNA study would probably have allowed us to see the true identity of this “monster”. It probably is as well. Maine is a state whose forests can easily hide a “monster” for many years, in fact most of the state is woods. Maybe another lurks in the woods of Maine only to resurface in our near future. Here are some fine shots a baby doe let me take of her while she was foraging for food in late fall.